When it was time to select a keynote speaker for this year's Gossip & Glamour WHAT SHE SAID Style Summit, we knew there was an obvious choice. Our goal has always been to find someone inspirational, who is actively working to build and contribute to the fashion community in Seattle, but we also wanted to find someone who was willing to share their lessons learned as they looked back over the trajectory of their career. 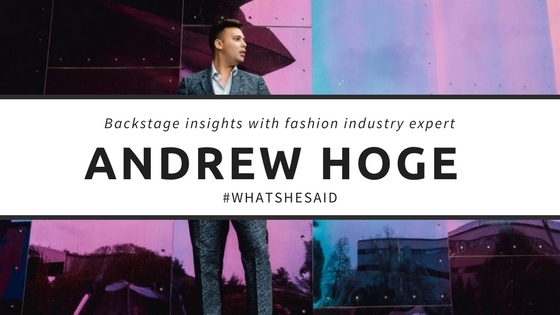 Andrew Hoge was a clear choice and though he's a relatively fresh face on the style scene, his contributions are noteworthy for more reasons than one. Andrew has recently been appointed the style and society writer at Seattle magazine and also writes about fashion on his personal lifestyle blog, andrewhoge.com. He will also maintain his current role as the Director of Celebrations at The Fairmont Olympic. 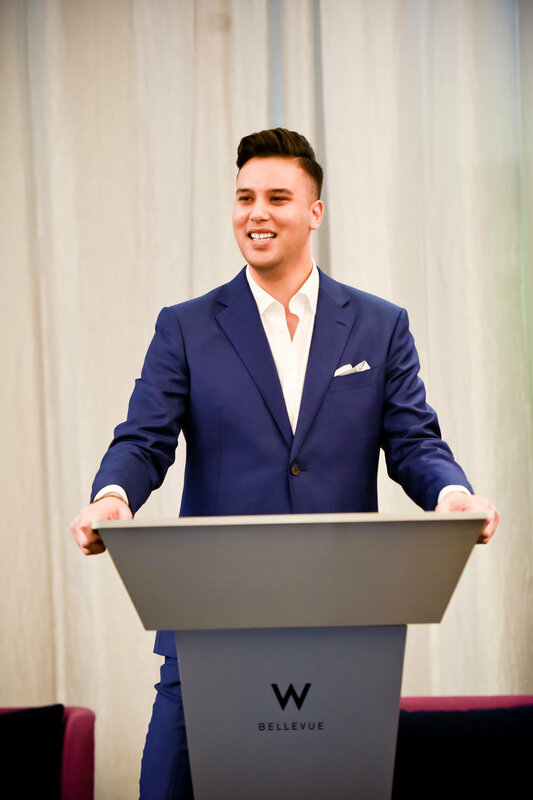 Andrew is a true inspiration and a testament to the possibilities that lie ahead for fashion and lifestyle bloggers in the Pacific Northwest. He's bold, curious, he is compelled to tell the stories that matter, and in many cases, the stories that matter are those of the unsung hero who is quietly working, quietly making, quietly doing things that make this city such a great place to live. In many ways, Andrew is telling the story of WHAT SHE SAID as it relates to art, culture, and of course, fashion. In his keynote, Andrew touched on his early career, including internships with Luly Yang and Oscar de la Renta. He also went in-depth on his present-day life which includes managing his work commitments with his personal life, side projects, and of course, his lifestyle blog. Andrew’s advice to those wanting to get into this community and make their own way is simple: get offline and build relationships in real life. View Andrew's full Facebook LIVE interview with Darcy Camden of Styled Seattle. You can also follow Andrew's fashion adventures on Instagram @Andrewhoge.